The purpose of police is to defend our rights. Unfortunately, too often, police violate our rights instead. When the legislature creates victimless crime laws, and tells the police to enforce them, it creates a lot of problems. This is most apparent in the war on drugs. 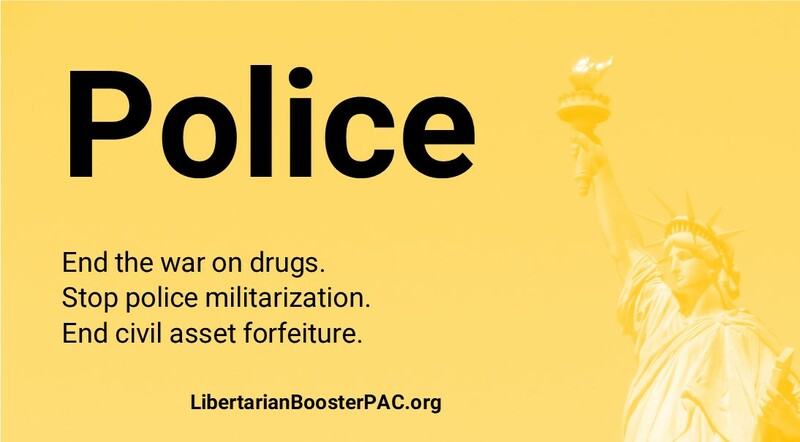 We need to end the war on drugs. The best first step is to legalize the sale and use of marijuana. A 2019 bill in the General Assembly to decriminalize marijuana (i.e., reduce the penalties) did not even make it out of committee. We need legislators who will act like grown-ups, instead of running scared whenever the issue comes up. Police militarization leads to unnecessary expense, violence, and death. We need legislation that will reduce the use of SWAT teams, and we should just say no to offers of federal military equipment for police departments. “Civil asset forfeiture” is a process where police claim that property has been used in connection with criminal activity, and then seize that property. There is no requirement that the owner be convicted of a crime. In many cases, the police departments who seize the property can keep it for themselves, creating a huge incentive for corruption. Civil asset forfeiture is a tragic and needless violation of people’s rights. We need legislation to eliminate civil asset forfeiture in Virginia. In 2018, the Virginia House of Delegates passed House Bill 900 to restrict asset forfeiture, but the bill died in a Senate committee.